NSAMP is the result of nearly two years of community-based engagement, planning and design with individuals, neighborhood groups and community organizations throughout North Minneapolis. 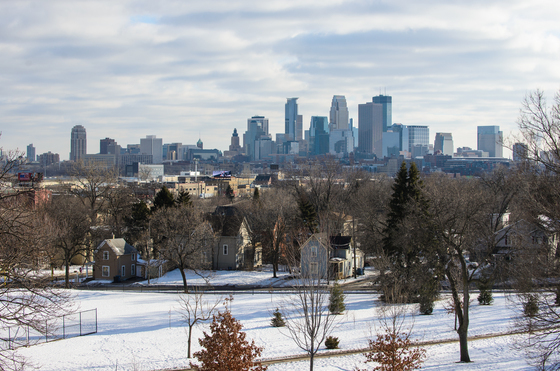 “We are really pleased at how engaged Northsiders were in developing these park plans,” said District 2 Commissioner Kale Severson, who serves constituents in North Minneapolis. 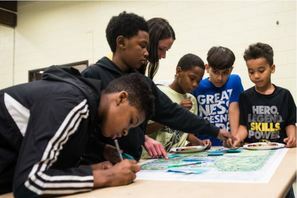 “A huge part of this planning effort is ensuring that MPRB’s neighborhood parks serve the needs of the communities that surround them.” MPRB adopted similar service-area master plans for south Minneapolis (in 2016) and downtown Minneapolis (in 2017), with planning in process for the city’s northeast/southeast and southwest areas. 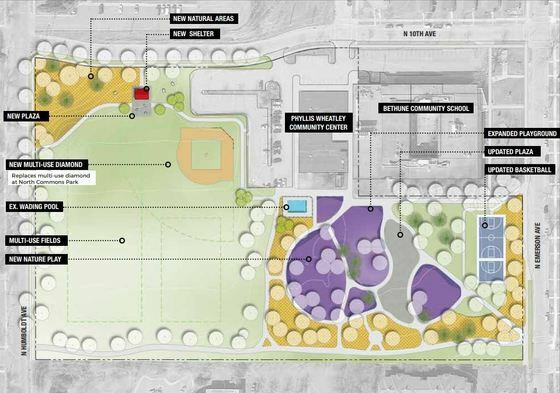 Collectively, NSAMP’s neighborhood park plans will guide capital investments and other park improvements – that is, replacing or constructing new play areas, wading pools/splash pads, athletic fields, skate parks and sport courts. Also featured are some amenities new to neighborhood parks, like climbing walls, bicycle tracks/all-wheel parks, orchards, community gardens and adult fitness areas.